I know so many people across the US and abroad are experiencing heatwaves. In my neck of the woods, we are cold! We haven't even had a summer yet. 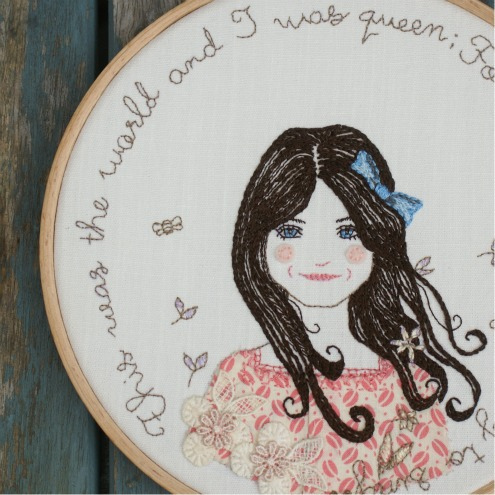 Instead of getting depressed over my lack of heat, I found this beautiful embroidery by Gracie's Garden and instantly felt the summer breeze sweeping across my face, I could smell the fresh grass and hear the birds singing. Thank you so much Gracie for bringing summer to me. Oh that is lovely! Summer seems so far away- but half a month to go before we are officially into Spring! Reminds me of Summer from "500 days of summer"